Operatives of the Nigerian Police Force have effected the arrest of Shehu Usman, a daredevil armed robber, and kidnapper in Ondo state. Usman, is said to have been on the ‘watchlist’ of the security agents for a long time, before he was eventually apprehended by a crack team of detectives from the Ondo State Police Command, Akure. Naija News understands the 30-year-old criminal master-mind was paraded on Wednesday before journalists in Akure, the capital city. 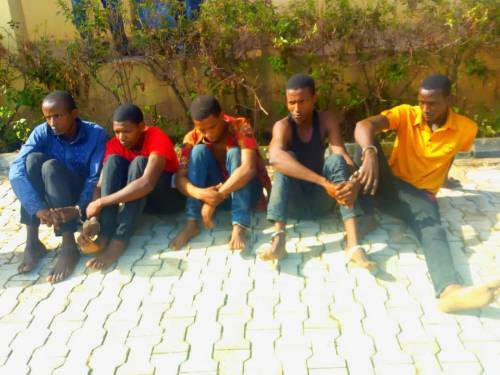 Other members of his robbery and kidnap gang were also arrested alongside him at a hideout in Edo State fours year after he had been declared wanted according to reports by Sahara Reporters. Usman and his six-man gang are specialized in carrying out robbery and kidnapping activities between Kogi, Ondo and Edo states especially Auga (Ondo), Kabba (Kogi) and Ibilo (Edo) areas of the three states. The other members of the gang are 19-year-old Ismaila Wakili, 33-year-old Abdullahi Sanni, 36-year-old Muhammed Abdullahi with 25-year-old Umoru Usman. However, Usman and Ismaila Wakili are identified as the two most dreaded members of the gang who had sent many of their victims to their early grave, leaving a tale of tears and sorrow behind. 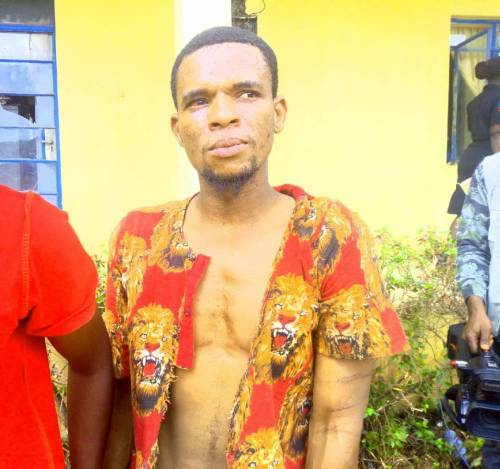 Undie Adie, Commissioner of Police in Ondo State, confirmed the arrest of the criminals, adding that his men apprehended Usman and his group at their hideout in Edo State. Speaking further, Adie explaned that the gang met their waterloo after they kidnapped one Prince Omoghae Igbegbon of A3 Senior Staff Quarters, Nifor, in Edo State, on Akunnu/Auga Akoko Road in Ondo State. “The hoodlums robbed Igbegbon of a cash in sum of N180,000 and also abducted him to the bush,” he said. “The abductors later demanded sum of N30million as ransom for his release. On April 3rd 2019, a team of policemen with some members of the vigilante group trailed the kidnappers to their den in Ibilo in Edo State. “After an exchange of gunfire, these kidnappers fled to an unknown area and destination while the victim too escaped to a community in Ibilo. The Police placed the communities on red alert to watch out for strange face. Thereafter, one Ismaila Wakili from Niger state was arrested. The Police Chief mentioned that some of the weapons recovered from the gang include one pump action, a double barrel and two single barrel guns including charms. Adie added that they would be charged to court soon.